OLD PARKED CARS. 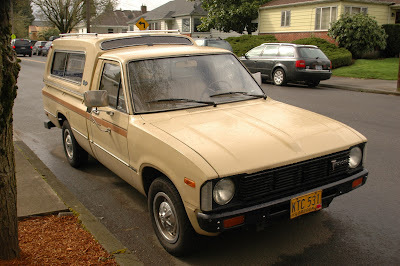 : 1980 Toyota Hilux 5-Speed Diesel. 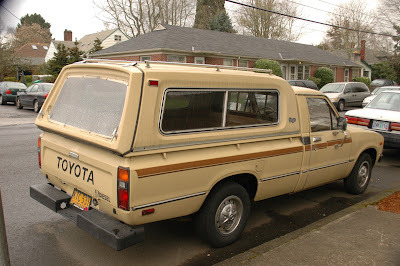 1980 Toyota Hilux 5-Speed Diesel. Remove that ridiculous cap and you have yourself a nice truck there! 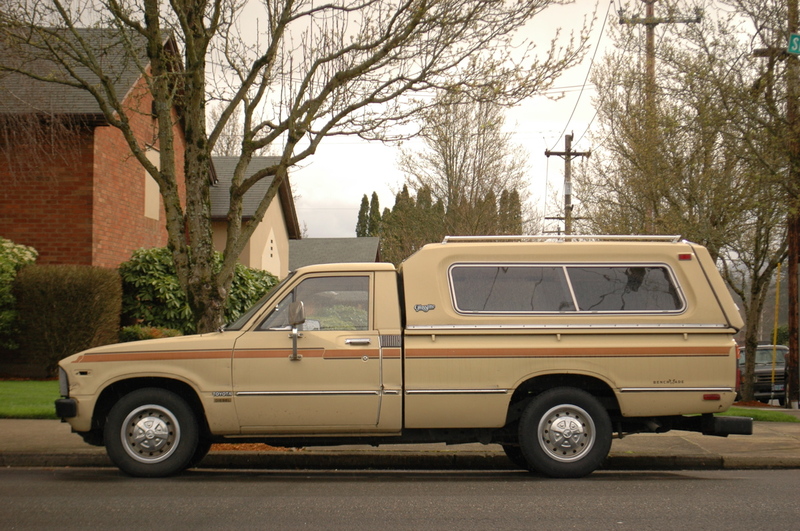 the cap is a little much, maybe, but i can't think of a better long-term roadtripmobile. not to mention the 5-speed and diesel. Hey Tony I know you like these smaller pickups but I'm 6'5" and it would be a little cramped. Basically I like a lot of old cars I prolly wouldn't be comfortable driving. yeah, i'm 6 feet, which i'm sure is taller than the average japanese man in 1970, but i never think about my truck being small until i'm riding in anything else. 6'5 would probably be pushing it. of course, my fantasy about rigging up a sleeping quarters in a 6-foot cargo bed is probably nonsense unless i want to get diagonal, which doesn't hold the same appeal. i guess it would have to be a longbed. but yeah i like the little cars. Man that thing is awesome. The tan paint+brown pinstriping are an awesome combo. Shame about the piece missing on the passenger side fender.